Disability – Should We Care? CBM has published a disability inclusive development toolkit which aims to contribute to improving the quality of life of persons with disabilities in the poorest communities of the world. However, much is relevant to disability in developed countries as well. It will help you to reflect more deeply on issues of equity and social justice and support you and your colleagues in reflecting on what actions you can take to practice and promote disability inclusion, in your work place, at home, in the community. ‘… an evolving concept that results from the interaction between persons with impairments and attitudinal and environmental barriers that hinders their full and effective participation in society on an equal basis with others’. Put simply disability can be defined as the relationship between a person’s impairment and their environment. An impairment on its own would not lead to disability should there be a completely inclusive and comprehensively accessible environment. The World Report on Disability (2011) is the most reliable and authoritative source to date on disability in terms of data and statistics. According to this report there are over a billion people, about 15% of the world’s population, who have some form of disability. In developing countries where there is greater vulnerability to natural disasters and less developed service provision there are greater numbers of people with a disability: about 1 in 5 people, or 20% of the population. Disability is a major development concern, not only for individuals with disability but for their family members and communities: it is a major contributing factor in pushing families into deep poverty. 1 – 5 people, 20% of the population of the poorest people in developing countries have a disability. Children with a disability are much less likely to attend school than children without disability. The gap in primary school attendance rates between disabled and non-disabled children ranges from 10% in India to 60% in Indonesia. In many low and middle income countries, only 5% – 15% of people who require assistive devices/technology receive them. Only 20% of women with disabilities in low income countries are employed compared with 58% of men with disabilities. People with disabilities are at greater risk of violence: up to 4 – 10 times the rate of violence against people without disabilities. 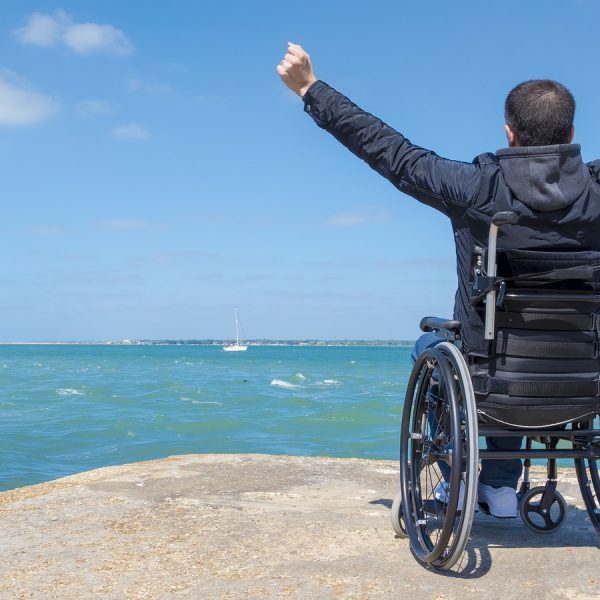 Disability inclusion is part of a wider movement for inclusive development that strives for the active participation and representation of all people regardless of age, gender, disability, ethnicity, race, class, religion, sexuality or any other characteristic. Disability-inclusive development is part of this social justice movement that challenges unjust systems and exclusive policies, relations and practice. Talk about disability inclusion is not sufficient; it demands action for change. As health care practitioners dealing with people with disability on a daily basis we are in a great position to make a difference. At least we should understand the modern concepts surrounding disability. This toolkit will provide you with some practical ideas to support you to contribute to this change process.